Alessia and Valeria are two tourism students from Italy. This is already their second time with us at Jyväskylä College during their studies. For the past month they have been doing their practical placement in Jyväskylä. Valeria: I think the time (one month) was too short, because I would’ve liked to do more at the hotel (Laajavuori Spa Hotel) and also do more Finnish things. Alessia: I also think the time was too short because I would’ve liked to have learned more. 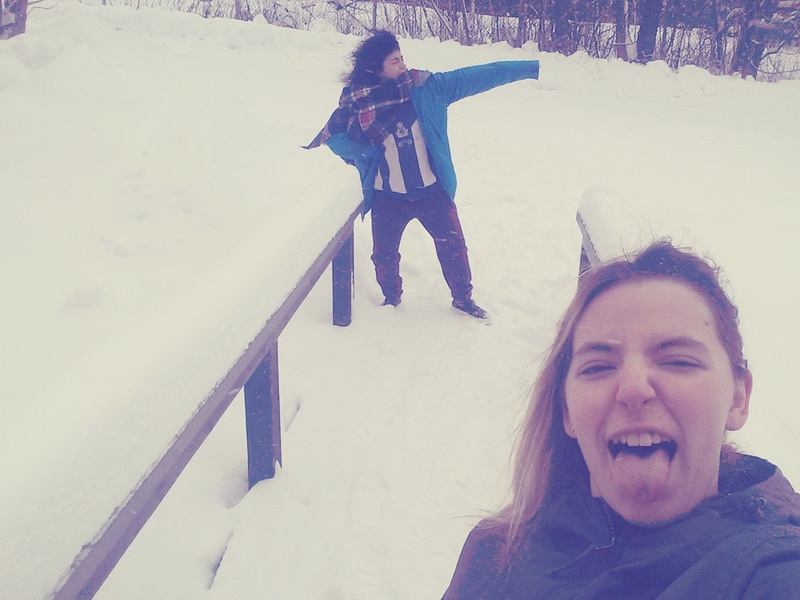 Valeria: I’ve learned to be more independent and what it is like to work (in Finland). Alessia: I’ve learned some new words in Finnish and how to do guided tours (at The Art Museum). 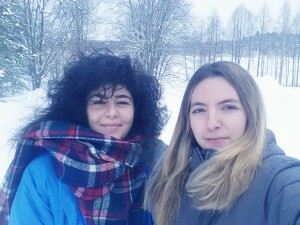 Alessia and Valeria both recommend visiting The Natural History museum of Central Finland and Jyväskylä Art Museum. Walking, skiing or mountain biking in the nature is also on top of their list. In the winter time snow shoes might be necessary. Sauna and a swim (or a dip) in the icy lake are also on their must-do list. They also recommend trying different kinds of Finnish foods. Timo Lehtonen is one of the teachers from the tourism programme who has been tutoring Alessia and Valeria during both of their exchangeas: It’s been an absolute pleasure to have the girls here now for the second time. We have seen a huge development in their skills and competences including their language skills. It has also been good for own students to integrate with the incoming students. This way even those who do not participate in mobility can have international contracts and develop e.g. their communication skills in an international context without leaving their home institute.